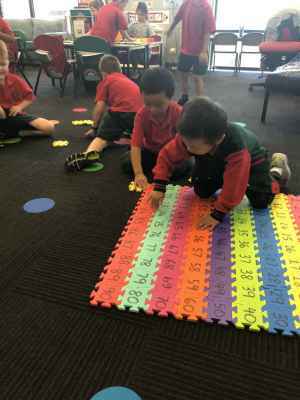 One of Prep W’s favourite activities is Maths Play Based Learning! On Fridays we explore counting patterns, ordering numbers, dominoes, number puzzles and a whole lot more. A popular activity is putting together the 100 square. 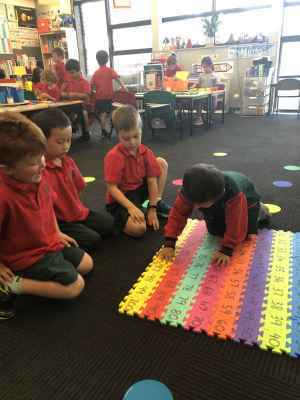 The children work really well together to find the right numbers, and pick up on the patterns within the 100 square. It’s a very satisfying feeling when it is complete!